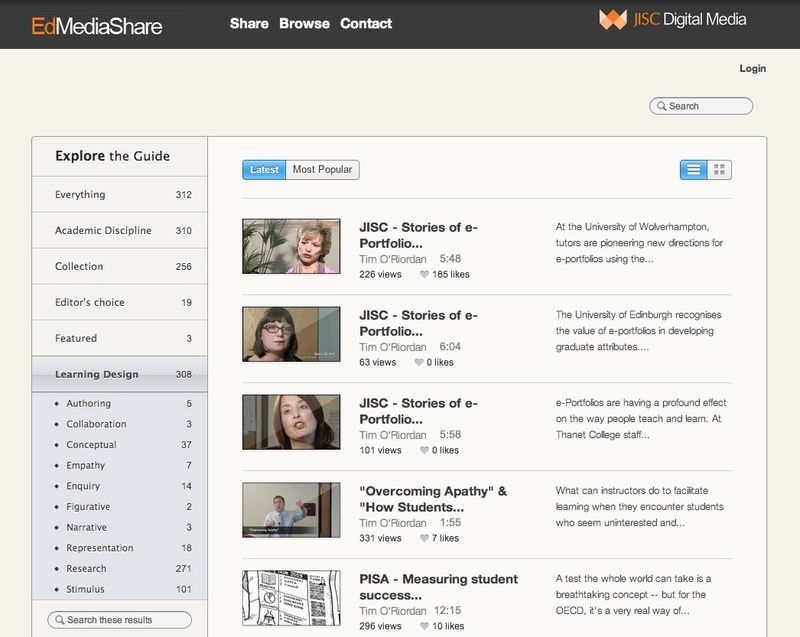 EdMediaShare was a proof of concept project managed by JISC Digital Media that made it easy for teachers, and learners, to find online video that they can use to support learning and teaching, as well as scholarship and research. The site was curated and embeds links to content which were hosted by other providers. The site was for users to share the video they use to support your teaching, learning and research, and find video that others have found useful. To help users find the videos they need the project has opted to use Learning Design criteria developed by the Dial-e Framework. The University of Hull was commissioned to develop resources and support materials to assist in the take-up of a new digital video archive, the ITN NewsFilm Online archive. This was officially launched on 3rd October 2008. The Newsfilm Archive has now been discontinued however the project produced an interactive resource which was originally available online at JISC but appears to be no longer curated. In the course of developing these resources the authors identified a number of generic learning designs that came to form the DiAL-e framework. This was used to populate the resource with ideas and exemplars about how to use the NewsFilm Online archive across all disciplines and subject areas. The framework argues for a non content based approach to using these resources and is centred on the idea of student engagement. This project, sponsored by the JISC, served to demonstrate how digital resources can be used and re-used to support learning and teaching in higher and further education. It is a 20 credit masters module which runs entirely online for 15 weeks. At the heart of the module is the DiAL-e framework which forms the basis of the entire learning experience. This is a staff development project focused on supporting academic staff in further and higher education to use and re-use digital resources such as video, sound archives, digital newspapers and more. 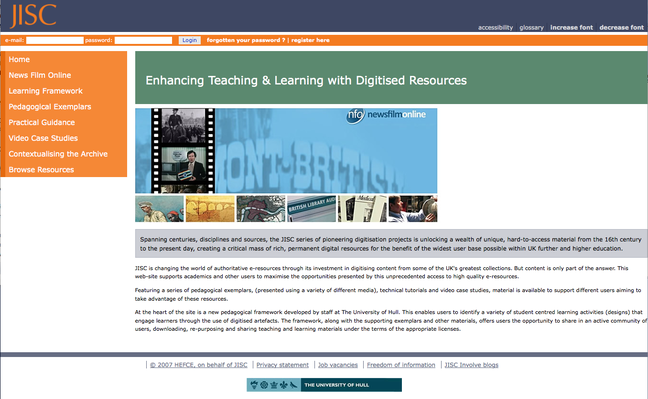 It featured a selection of resources from the JISC Phase I digitisation projects. This project ran from October 2007 until March 2008 and involved 15 FE and 6th Form colleges from across the Yorkshire and Humber RSC region. The University of Hull was involved in supporting practitioners from selected departments in each college to use and re-purpose a selection of digitised resources from the phase I JISC digitisation projects. The final learning packages were originally located in the Excellence Gateway on the QIA web-site.